Not sure I should admit this, but I remember watching the Beatles on the Ed Sullivan show in 1964. Yep, I really do. I remember my parents, specifically my dad, fussing about their long hair. At age 5, I was a little young to be a rock music fan, but nevertheless, songs like "Love, Love Me Do" and "Yellow Submarine" were a big part of my childhood. It was fun, then to be be taken back to those days with a brand new picture book, FAB FOUR FRIENDS: THE BOYS WHO BECAME THE BEATLES, written by Susanna Reich and illustrated by Adam Gustavson. Reich captures the early lives of the Beatles and how John, George, Paul, and Ringo came together as band. The story is told in chapter-like chunks, beginning with John, then progressing through Paul, George, and finally Ringo. I'm struck, as I read, by the difficulties each of the boys overcome. John's mother and father split up when he was very young and he was raised by an aunt and uncle, but always longed for his mum, who lived nearby and played a role in his life, but was not around on a daily basis. Paul's mother died when he was a young child. As a child, Ringo was hospitalized for appendicitis for a year at age seven, and then two more years when he was just a little older. I was also struck, in reading this book, by how hard the Beatles actually worked to become a band. People think they were an instant sensation, but that's really not the case at all. There were hours and hours of after school practice. There were disapproving adults, like John's Aunt Mimi, who told him, "The guitar's all right for a hobby, John, but you'll never make a living at it." In their early days, the band was so poor, they tied their microphones to broomsticks, which their girlfriends held up while they played. And they'd "split an order of toast and argue about the extra penny for jam." When they finally got a gig at the Indra Club in Hamburg, Germany, they thought they would be staying in a glamorous hotel and ended up in two dingy, smelly rooms in the back of an old movie theater. And there was the issue of finding the right permanent drummer. 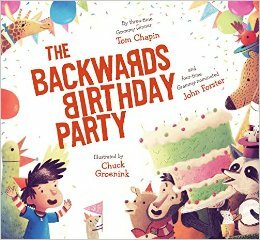 This is a really long picture book, definitely not one I would read to a class much below third or fourth grade. 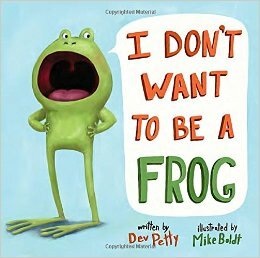 It would be perfect however, in a unit on picture book biographies (end matter includes an author's note, a glossary, notes, and a bibliography of book and internet sources), or a unit on perseverance. It would also be terrific for a middle school music class. 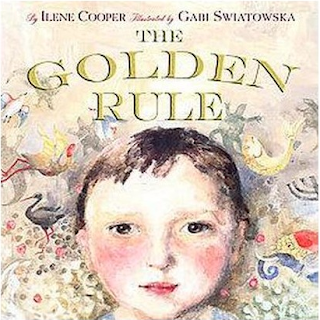 You gotta love a good picture book biography and this one definitely fits into that category. Back to school! Actually our kids start Monday, but teachers have been back for a week or two. Pretty sure I have posted both of these poems before, but some poems need to be revisited and rearead. Catherine has the Poetry Friday Roundup today. Some teachers call them rules. Some teachers call them norms. Be safe. Be respectful. Work hard. Here are some books that might initiate good discussions. Freddy and Frito are best friends. They play together every day. Freddy's house is big and full of space, but there are rules. Frito's house is noisy and crowded, but there are rules. One day Freddy and Frito decide to build a treehouse. With no rules, of course. But Freddy's yellow curtains give Frito a headache. And Frito's cooking pot takes up too much room. The two have to resolve their differences. 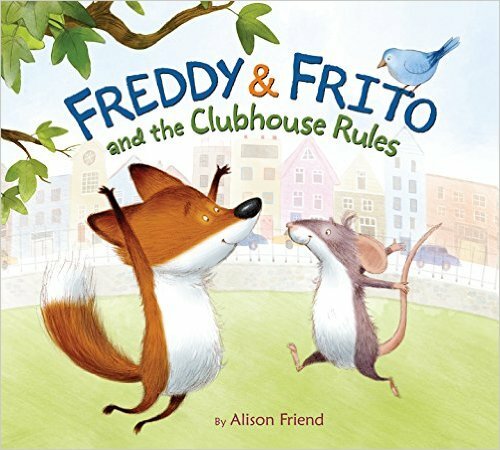 They decide a clubhouse should have at least one rule. THE STORY STARTS HERE by Caroline Merola is a backwards book about a backwards character. 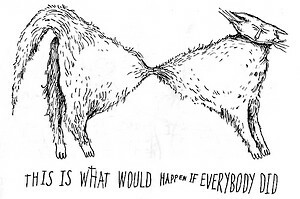 Little Wolf wants to do everything backwards. He wants his books to start at the back (it truly does open at the back and would be a great book handling lesson for little guys), play the piano with his toes, and wear his clothes on his head. Then his father decides to join in on the fun. This feels a little like WHERE THE WILD THINGS ARE. 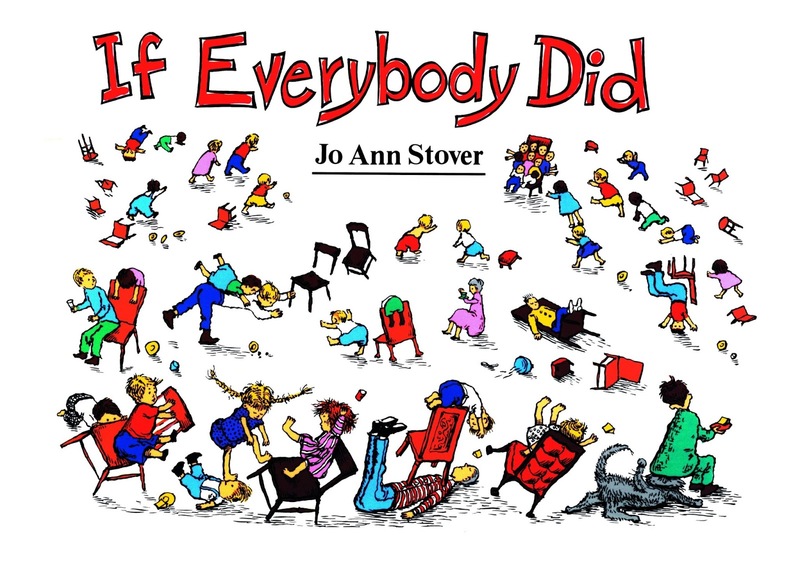 IF EVERYBODY DID by JoAnn Stover is an old, old book, one I found in a library discard pile at the very beginning of my teaching career. The copy I found was black and white, but a couple of years ago, the book was released in color. Each two page spread features a different "rule-breaking" situation. The next page is a predictable refrain, "This is what would happen if everybody did." If everybody squeezed the cat! Finally, THE GOLDEN RULE by Ilene Cooper- a beautiful, beautiful book I reviewed here several years ago. 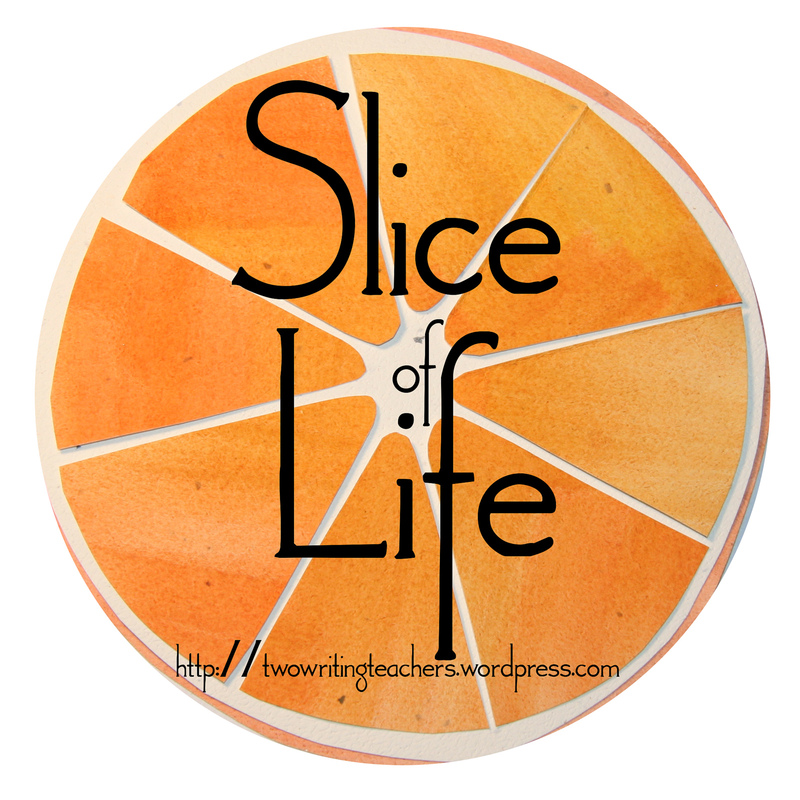 Last week I stamped, inventoried, and distributed 5,000 books for our new literacy curriculum (in case you are wondering about the glamour of being a literacy coach). Or rather, I should say, WE stamped, inventoried and distributed 5,000 books. Monday and Tuesday I worked alone. My school is almost one hundred years old, doesn't have air conditioning, and it was hot, slow, boring work. Tuesday afternoon, I ran into Chaz, who was at school registering for eighth grade. I adore this young woman and it was fun to see her after three months away. I jokingly said, "Wanna come help me stamp books tomorrow?" She said she would ask her mom, and a few minutes later, she hunted me down in the library, "My mom says I can. What time should I come?" I told her to come after 7:30. Wednesday morning she arrived at 7:35. We stamped and talked. She told me that her mother and father hadn't even finished high school, but were determined to have their daughters graduate from college. She told me about her older sister who had a baby at 16, but had gone on to get her GED, and is now attending a local university, with dreams of becoming a lawyer. She told me about how she had helped her dad, who doesn't read very well and can't spell well enough to send a readable text message, to earn his CDL license so he could drive semi's. "We studied every night for three weeks," she said, "and then he took the test. You can miss six, but he only missed four. He was so proud." On Thursday, Zena and Rosa came to help. Both girls were students at my school, but are now older. Zena started college this week. She thinks she wants to be a teacher. I think she'd be a great one- super hard working, sweet, organized, a gorgeous smile. Her younger sister, Rosa, is a junior in high school. Rosa and I stamped mythology books together. She told me she hated mythology and had almost failed freshman English because she didn't understand "all that gods and goddesses stuff." She continued, "Only one person taught it, I didn't understand him. I would go in and ask and he just thought I was stupid. I wasn't stupid the year before with Ms. S. I really liked English in eighth grade. I got A's. Ms. S doesn't give those to anybody, you have to work really hard. I don't know how I got so stupid in ninth grade. " On Friday, sweet Carlos came and helped. He was a little slower stamping because he kept stopping to read. He was especially interested in a book called THE OMNIVORE'S DILEMMA. "I really want to read this," he said. When I told him he could take it home, he slid it carefully into his backpack. He told me about a trip to El Salvador, to meet his mother's family. "I cried when we left," he said. "I have never seen my mother's family before and I don't know if I will ever see them again. It costs a lot of money to go to Salvador." Last week, I stamped 5,000 books. The stories I heard made it worth all the stamping. For about the last six months, my younger son has been working at a doughnut shop. He works the night shift, making doughnuts from ten until six. I am thrilled that he has a job and his own spending money, but I spend more time than I would like to admit worrying about him. I wrote this one night when I couldn't sleep. and strides out the door. at the end of his eight hour shift. Heidi Mordhorst, at MY JUICY LITTLE UNIVERSE, is hosting Poetry Friday this week. 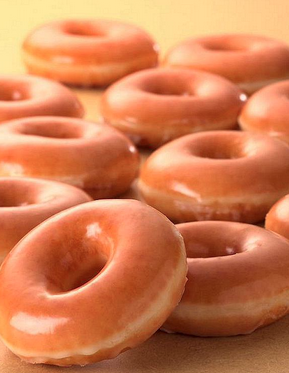 Head over there for a whole lot of sweetness. Three books that are sweet, predictable, and sure to be enjoyed by my kindergarten friends! Don't forget an old friend, WEMBERLY WORRIED, by Kevin Henkes. 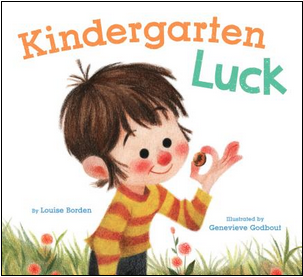 Theodore finds a penny, then has all kinds of good luck throughout the day. I'd probably follow this with a conversation about how we can "make" luck for ourselves and others. Marc Brown, yes THE Marc Brown of Arthur fame, has a new book. 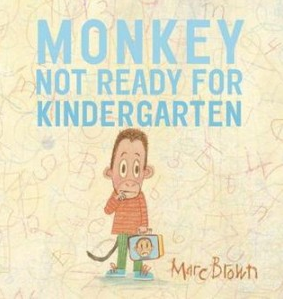 Kindergarten is coming and Monkey has all the typical worries- what if he gets on the wrong bus, what if he doesn't make friends, what about the cafeteria. His family helps ease his worries by playing school with Monkey as the teacher. Another kindergarten worrier that turns out ok in the end! 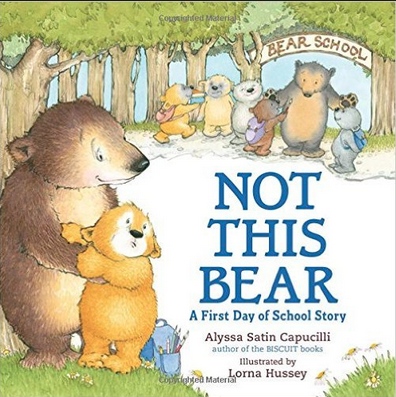 Kids will enjoy the repeating refrain, "Not this bear!" 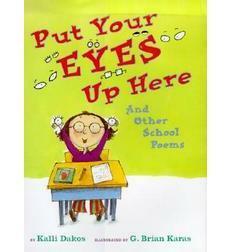 I'm always on the lookout for picture books to share with our intermediate grade kids. Here are a couple I could share with pretty much every grade. Ella Mae has always worn her cousin Charlotte's hand-me-down shoes to school, but this year her feet are too big for Charlotte's shoes and Ella Mae needs new shoes. 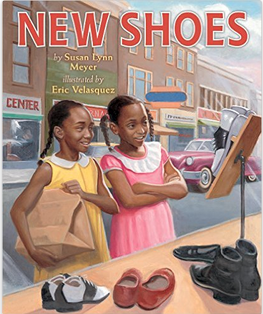 When she and her mother go to the shoe store, she learns that black children are not allowed to try on shoes. Instead, she and Mama trace her foot, then the store owner decides what shoes will fit. Ella Mae and her cousin Charlotte decide to open their own shoe store, where anyone can try on any shoes they want. They go door to door, offering to work in exchange for a used pair of shoes, which they then polish and clean up for their shoe store. A powerful look at Jim Crow laws in the late 1950's, you might want to consider pairing it with RUTH AND THE GREEN BOOK (Calvin Alexander Ramsey),WHITE WATER (Michael S. Bandy) or FREEDOM SUMMER (Deborah Wiles). Great for talking about advocacy or giving back to your community. Anna attends school in a village in Tanzania. One day, a truck comes to their school, loaded with bikes for the children. 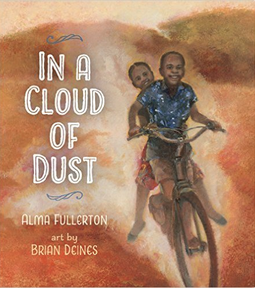 By the time it's Anna's turn for a bike, however, there are none that will work for her. She tries to hide her disappointment, helping her friends as they learn to ride their new bikes, running alongside of them as they ride home from school. At the end she is in for a big surprise. Great for talking about caring for friends and sharing and giving what we have. Pair this one with THOSE SHOES by Maribeth Boelts. Last night I went to a gathering. Not the kind of gathering you'd want to go to, though. It was a gathering of urban high school kids. 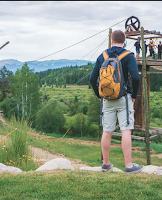 They were at a camp in the mountains. It was the last night of a week-long camp. This group of city kids had hiked and ridden horses. Had tug of wars and spent hours splashing in a gorgeous mountain pool. Met in small groups to talk about families and faith. Probably had the best week of their entire lives. But then there was an accident. A member of their group made a poor choice. Snuck out of his cabin during the night, then fell and died. And everyone is devastated. The adults, mostly in their twenties, responsible for the group. The kids. Their families. And of course, the young man's family. I've supported this group for a long, long time, almost since I was in high school. I found out about the accident on Facebook in the morning, when someone asked for prayer. Later in the day, I learned that the kids and their families and members of the community were going to gather. I thought they might need extra adults to love on kids or wash dishes or just pray. I thought I might know some kids. I've taught in that neighborhood. I live about ten minutes from there. And so I went. We gathered at a church in the heart of Denver. In an area that's gentrifying and doesn't quite know what it wants to be- homeless people sleep on the street in front of cutesy cupcake shops. Gang signs are spray painted on the wall of upscale breweries. Staff members and volunteers from all over the city came. All of the leaders who had been in the mountains with the kids. A mama with a two-month-old baby in her arms. Middle school leaders just back from their own exhausting week at camp. Teachers from the school. Therapists and grief counselors. People like me. And there was food. Lots of food. Boxes and boxes of pizza. Sub sandwiches. Chips. Pop. There were kids. Lots of kids. Kids in every color of the rainbow. Freshman, with their child-like bodies. Seniors, with almost adult bodies, ready to launch and make their mark on the world. Carefully coiffed blonde heads side by side with dreds. Polo shirts. Jordans. Walmart leggings. Boxers hanging over the top of sagging sweats. I did know one kid. A tiny wiry tenth grader with the same name as my older son approached. He had been in fourth grade at a school where I taught. We talked about his favorite fourth grade teacher, a dear friend of mine. The high school he attends. Some kids from my school who will be attending his high school. Then he drifted off into the crowd of kids. The group leader spoke. A therapist talked about what kids and parents might expect. A teacher shared her memories. Two friends shared. The grieving mother spoke. Some people spoke Spanish. Some English. There was a translator. There were tears. Lots of tears. But there was also love. A dad digging through pockets passing a rumpled tissue to his grieving son. An Anglo mom, with a kid, one white, one black, leaning on either shoulder. The wife of the group leader, probably not much more than a decade beyond her own teenage years, passing photos to the kids. 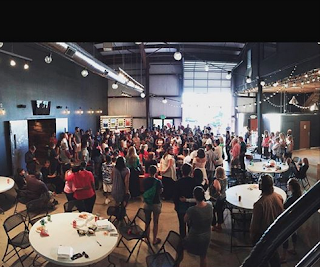 Leaders, young adults, pushing their own grief aside to comfort kids. Kids hugging each other, sharing stories and pictures from their phones. Afterwards, leaders kids went into a back room. They have been through a lot together. They needed to be a family. This has been a week those kids and leaders will never forget. I know they will remember J. I know they will grieve for a long time. 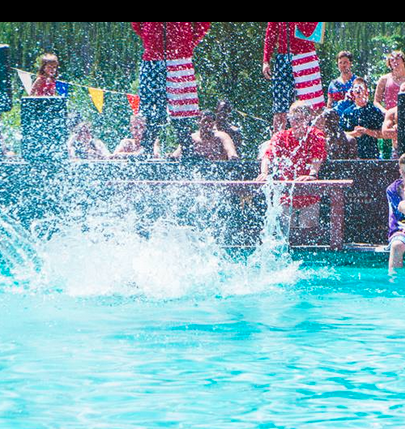 But hopefully, they will also remember the fun they had at camp and the messages that they heard. Hopefully they remember pizza and laughter and love and adults who cared. 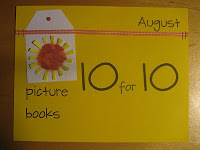 For about the past five years, I've participated in #pb 10 for 10, that lovely day in August when bloggers all over the world post ten favorite picture books. 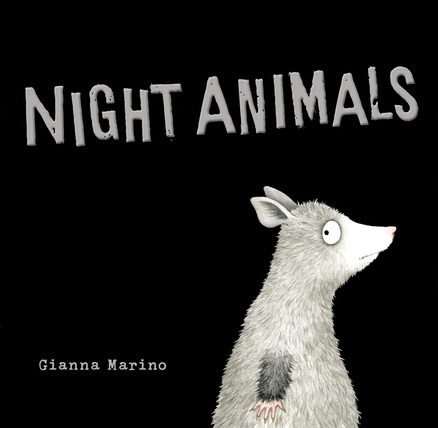 Mostly, I've done picture books for older kids. Today's list, though, is for the younger set. 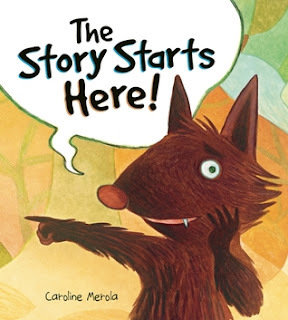 Those first few days of read aloud are so, so, so important. Many of the kids in the urban area where I teach come back to school not having read, or heard a book read aloud, all summer. Their reading/listening stamina is not very long. It's important then, to have lots of books that are short and sure to delight. Each of these can be read in about five minutes. Maple goes to school. Willow stays home. At first, Maple loves school, but then Willow starts telling Maple about her new friend, Pip. The two new friends play school. They climb to Pip's tree house. They ride a giant snail. 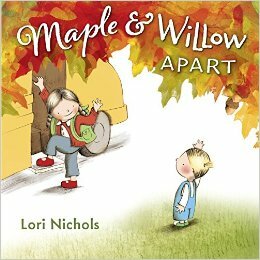 Maple becomes sadder and sadder about going to school and leaving Willow and her new friend, Pip behind. It's up to Willow to solve the problem. A cumulative tale that starts with Possum, who is absolutely sure that "Something is out there." Soon he is joined by Skunk, Wolf, and Bear, who are worried about the mysterious "something." They are all in for a surprise at the end! Eye-catching illustrations on a black background. A little boy is greeted by guests saying goodbye, then he pushes them out the door saying hello. The ice cream is hot, the candles are not. Each guest receives a birthday present. At the end, the boy is one year younger than he was before. Fun! (In looking for the cover, I discovered this is actually a song, first published in 1994. Here is the Youtube version). 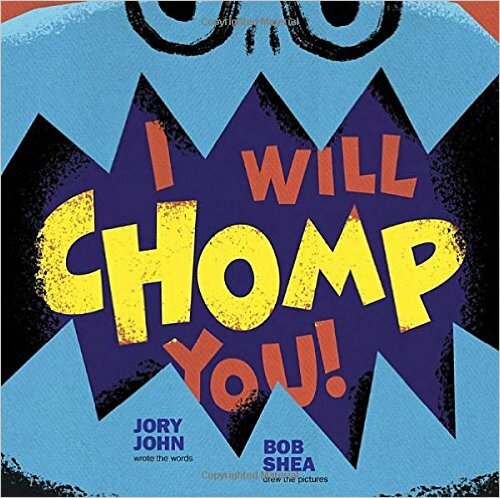 This book reminds me a little of the classic, There is a Monster at the End of this Book. A big, bossy blue monster warns other creatures, and his readers not to turn the pages! If they do, they will be chomped! 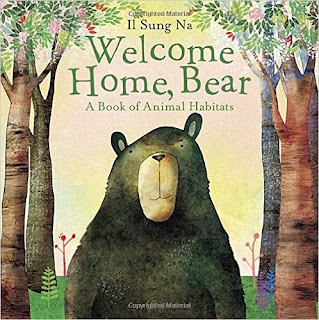 Every morning Bear wakes up in the same green forest under the same blue sky. One day he decides to find a new home and travels to habitats all over the world, from the North Pole to the jungle. Each habitat has its own unique problem. At Polar Bear's house, his feet get too cold. He digs down to see Mole but it is stuffy underground and the dirt get in his nose. At Hippo's house, there is mud everywhere. You can probably guess where he ends up. A small yellow bird sits on his perch in the middle of the water. Soon he is joined by a swan, a frog, a turtle. 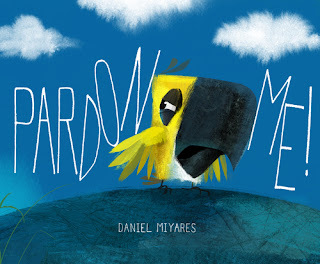 Each time a new animal comes, the phrase, "Pardon me…" is repeated. Finally Bird has had enough, and sends his companions away. Bird thinks he will finally have peace and quiet, but he and his readers are in for a big surprise! Pair this one with THIS IS NOT MY HAT! And don't miss FLOAT, a new wordless picture book by Miyares! A little mountain goat is alone on top of a rock. 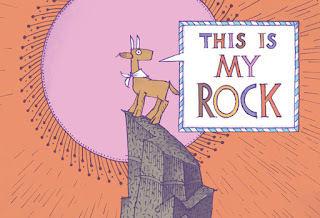 When other mountain goats try to join him, he shoos them away. "This is my rock!" The same is true for an eagle and a bear. By the end, though, the little goat discovers it is not so great to be hungry and cold and alone. 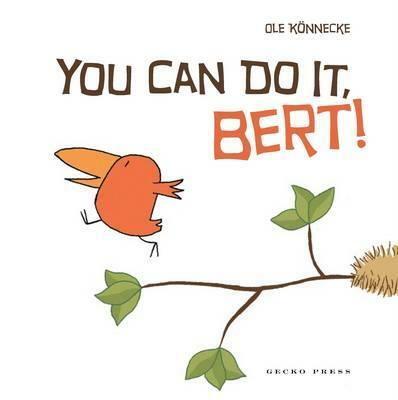 It's Bert the Bird's big day and he is "well prepared mentally and physically. "His friends encourage him, "You can do it." Readers think he's ready to fly but another surprise is in store. 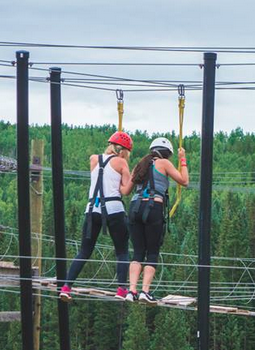 Great for initiating a conversation about encouraging others to try new things. Fun to read with a friend or two. In this counting book, that goes from 1-20, a little boy is looking for his dragon. 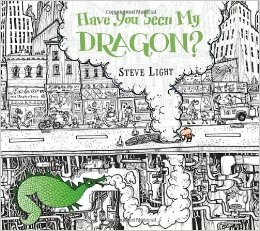 Everything in these intricately detailed illustrations is black and white, except for the little boy, the dragon, and the object being counted- One dragon, 2 hot dogs, 3 buses, etc. Read this one aloud, then put it in a math station for the kids to count again and again. Arrive at the school 90 minutes before PD starts. Computer bag is packed with all necessary equipment- computer, LCD projector, connector that goes between LCD projector and computer, power cords, handouts, and updated attendance sheet, printed out just a few minutes earlier. Weather is reasonably dry. There are no large puddles in the parking lot. The wind is not blowing, at least not hard enough to make the chart paper flap. The school is a reasonable temperature. School is unlocked. Assigned room actually exists. Assigned room is located within reasonable distance (no more than two blocks) from parking lot. Assigned room is on the first floor OR There is an elevator. There is no secret code, known by someone who is unreachable on weekends. There are no large flights of stairs between the elevator and the assigned room. Assigned room has furniture, including tables and chairs. Assigned room has furniture that does not have to be unstacked, unbolted from the floor, or uncovered. Assigned room has electrical outlets within twelve feet of presentation area. Assigned room is not an art room that has recently completed glittery projects. That's my ideal. Saturday was a more typical day. 6:30- Presentation cart, LCD projector, chart paper, chocolate. loaded into the car at a reasonable time. Got halfway to the school where I was presenting and remembered I had not grabbed my attendance sheet off the printer. Made a quick stop at the nearest copy shop. 7:15 Arrive at the school. I see the woman who is in charge for the morning standing outside on her cell phone. Not a good sign. The school is locked. We wait 15 minutes, then call security, who can activate something from afar and let us in. The woman who is waiting with me is supposed to do logistics, but she can't leave the front door because it's not unlocked. I head for the third floor, with a couple of early students trailing along behind me. Assigned rooms are on the third floor of this huge downtown high school To get there, we go up a ramp that is about half a block long, make a left, go half a block east, make another left, and go another half block to the elevator, which is thankfully working and does not have a code or a key. When we get to the third floor, we get off the elevator and go another half block west. I drop off students at their rooms as we pass them. 7:40 The room I am assigned to, 345B, does not appear to exist. I leave my cart in the middle of the hall and make another sweep of the third floor. No room, but I do find the custodian. He tells me there is no such room and he is not sure why we keep trying to use it. He offers another room. 8:05 Another presenter appears. She was supposed to start five minutes ago but doesn't have an extension cord. I still have about 45 minutes, so I unplug my projector and lend her my cord, thinking I can borrow one from someone else. 8:10 I go down the hall and borrow a cord. It is not long enough. I return it and try another one. 8:20 The logistics person finally gets the doors unlocked and comes upstairs. She has an extension cord for the original presenter and I can have my back. I unplug and reset my projector for the third time. 8:30 My students are arriving. This is a three hour one-shot class, kind of an overview of the program in Denver. One young woman is new from Missouri and asks for directions to her school, on the southeast side of Denver, almost directly diagonal from where we are in the northwest part of the city. Another gentleman tells me he thinks he has taken this class from me, the summer before. In the courses that last for more than one session, I know my students, but in this one time class, with thirty plus people, it's kind of hard to remember. I help him get on our district website and we discover that he has in fact taken my class and is actually in the wrong room. A third person arrives and tells me she is retiring next year and is not sure why she has to take this class. 8:40 I make a run to the bathroom, half a block down and half a block over. On the way back I run into another instructor, someone who I mentored when she was a beginning teacher. She has been doing professional development for about a year. Today, the room she has been assigned is easily over ninety degrees with no windows. I find a fan, then hunt down the logistics person to see if she can move rooms. 8:55 My room is almost full when I return. The computer and the projector have decided the are not talking and I have to unplug everything and reconnect it. 9:00. And we are off. I love teaching, I really do, and adults are as much fun as kids. But some days, I feel like I have already put in a full day's work by the time I start to teach. This was definitely one of them. And Lauren Child is one of my favorites! She has a new "big brother/big sister" book! And he likes it a lot. And no one ever changes the channel. especially not the orange ones. 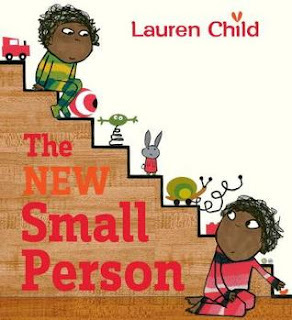 But then one day a new small person comes home. First, Elmore doesn't like it much. But then, finally, well, you can probably guess what happens at the end. A great new book for the sibling library!